Christmas Eve can be busy, especially for the head nurse at Angel Hope General Hospital. Too many patients, too little help, and a crowded ER all threaten to make this night before Christmas one big headache. It seems that nothing could bring holiday cheer to the patients and staff of this hectic hospital. That is, until the North Pole Rescue Team arrives! Saint Emergency Nick saves the day with eight helpful elves (certified RNs, of course), an ambulance-load of gifts, and well-deserved raises for the hospital staff. This updated holiday poem pays tribute to the hardworking men and women who take care of all of us—even on Christmas Eve. David Davis studied fine art at Stephen F. Austin University in Texas and has published pen-and-ink artwork, cartoons, poems, humorous essays, and short stories in various magazines and newspapers. 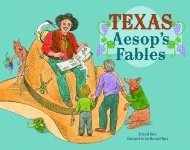 A member of the Society of Children’s Book Writers and Illustrators, Davis is also the author of Jazz Cats, a Children’s Book Choice for 2002; Librarian’s Night Before Christmas; Redneck Night Before Christmas; Ten Redneck Babies: A Southern Counting Book; Texas Aesop’s Fables; Texas Mother Goose; and Texas Zeke and the Longhorn, all published by Pelican. He resides in Fort Worth, Texas. 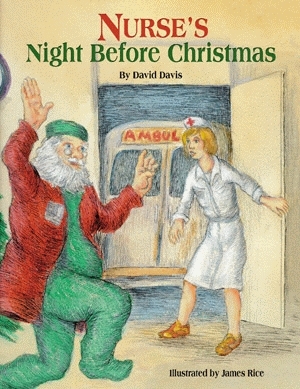 James Rice (1934-2004) illustrated Pelican Publishing Company’s best-selling Night Before Christmas Series for more than thirty years. Widely acclaimed as the South’s leading illustrator of juvenile books, Rice is the illustrator and/or author of more than sixty titles, with nearly two million copies in print. When not working on new books, Rice visited schools throughout the country to teach children the joys of writing and illustrating. 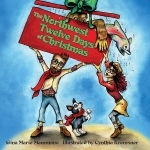 His stories and his detailed illustrations continue to captivate readers of all ages.